Valium, made from the generic diazepam, is a benzodiazepine used to treat anxiety, sleep issues, restless leg syndrome, muscle spasms, and other medical problems. It’s also often given to patients right before they have surgery or another invasive procedure. This drug produces a feeling of calm and relaxes the muscles, promoting sleep and reducing tension. Medications like Valium in the benzodiazepine class are commonly called tranquilizers. Drugs like Valium are very effective for short-term use. Valium is considered to be one of the essential medications that needs to be available for any basic healthcare system. All benzodiazepines are not recommended for long-term use due to the numerous potential health problems that have been linked to these drugs. Valium, along with every benzodiazepine, is an addictive substance. They’re often abused because of their ability to create a euphoric high at large doses, followed by feelings of peace and happiness. At the same time, benzodiazepines quickly produce tolerance in regular users, including those who have a prescription and use it as directed. After just a couple weeks, users will have to increase the dose in order to get the same effects. These two aspects of Valium are a strong recipe for addiction. Having an addiction disorder is a problem in and of itself, but without treatment, addicted individuals will end up using a drug like Valium for far longer than recommended. It also increases the chances of a dangerous overdose. When it comes to benzodiazepines, even the withdrawal symptoms can be life-threatening. Overdose from a benzodiazepine can be very dangerous due to the fact that these drugs are central nervous system depressants. This area of the brain controls essential bodily functions, like the heart and respiratory system. If these become overly depressed, it can result in life-threatening symptoms. Overdose deaths from drugs like Valium are on the rise as the abuse of these intoxicants become more popular, passing 8,000 in the US in 2014, according to the National Institute on Drug Abuse. Death from a Valium overdose is much more likely when combined with other depressants such as opioids or alcohol. Benzodiazepines have come under scrutiny for appearing to cause a number of cognitive, emotional, and physical problems that people using these drugs had not experienced before. 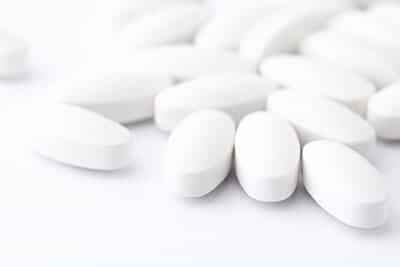 Some studies have even suggested that drugs like Valium can result in brain damage, though this has not been confirmed in follow-up studies. Many of these have been found to be reversed by taking the individual off the benzodiazepine medication. However, there have been reports of people having prolonged issues after getting off a drug like Valium, even for years. These potential risks make it especially important to seek medical help if an addiction to this drug is suspected.